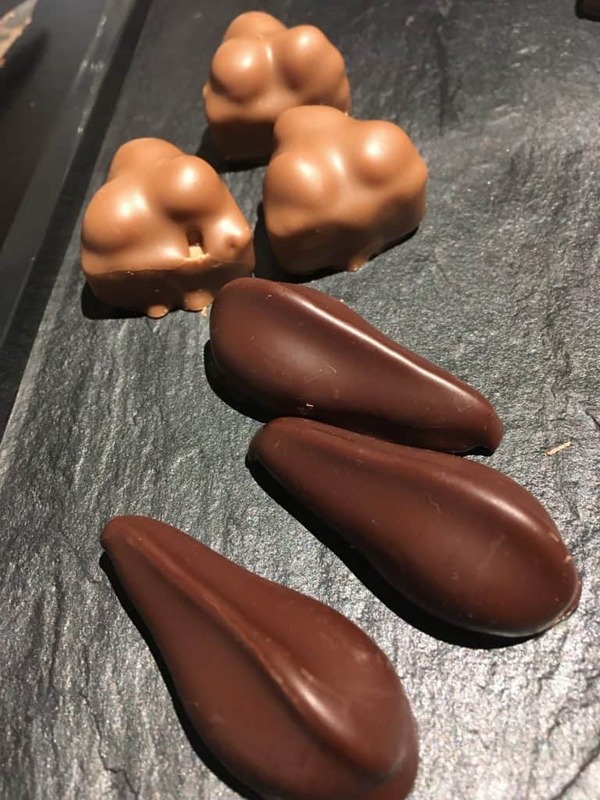 In celebration of World Cocoa and Chocolate Day (celebrated on October 1st each year) I thought I’d share thoughts about the 20 countries I’ve visited to date in my quest for the world’s best chocolate over the past 10 years. Each one of these countries has taught me something important about the world of chocolate and cacao. 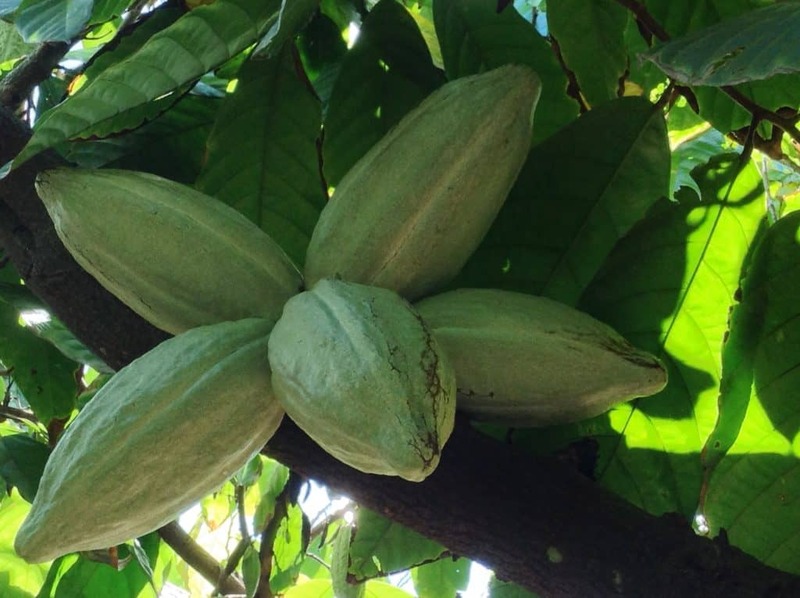 Whether you choose to focus on the tree (Theobrama cacao), the product made from its fruit (cocoa) or the ultimate finished product (chocolate), it is likely to give you pleasure. And that pleasure can be translated into any language and enjoyed in any destination around the world. Cheers to all the chocolate lovers of the world and the cocoa producers who grow this magical crop that is the key to the world’s best chocolate. 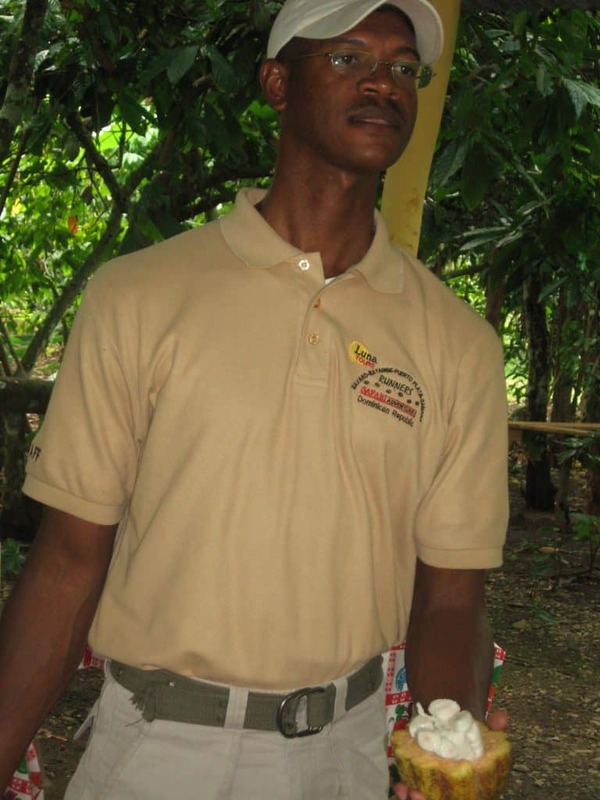 Taking this tour of a cocoa plantation in the Dominican Republic in January, 2009, planted the seed for Chocolatour. 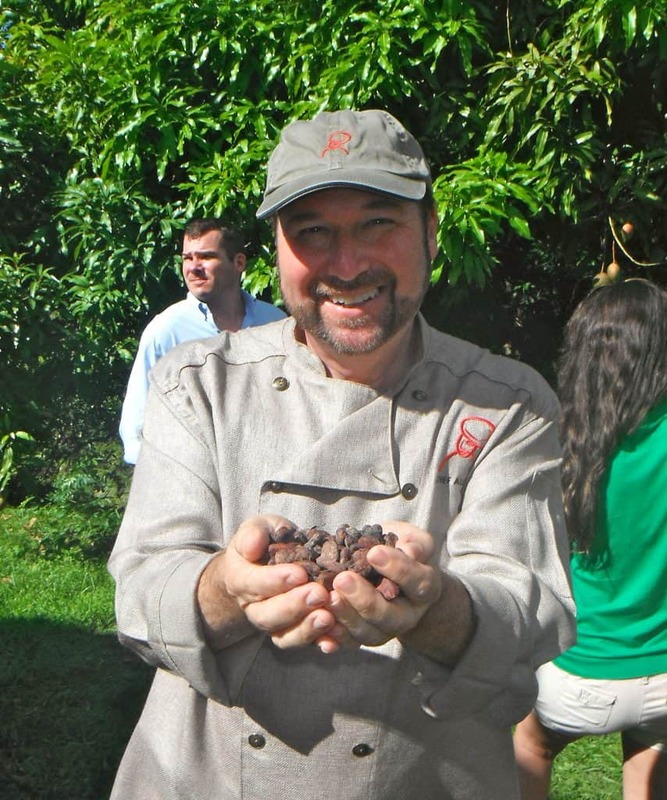 Our guide holds an opened cocoa pod and sheds light into the world of cocoa and chocolate. Some of the best chocolate of the world is created with cocoa grown in the Dominican Republic. My journey of chocolate exploration unofficially began in the Dominican Republic in January, 2009, when I took a tour of a cocoa plantation. That experience planted the seed for Chocolatour. I didn’t realize it at the time, but that trip changed my life. 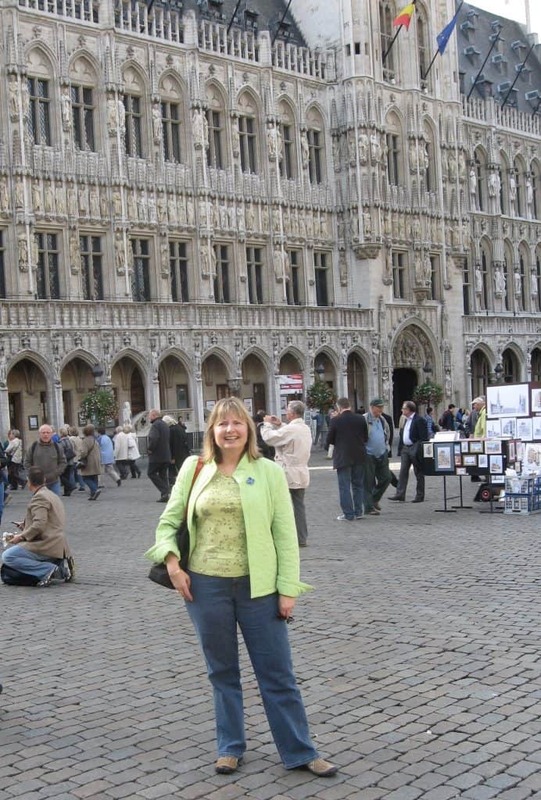 My quest for the world’s best chocolate began with a visit to the Grand Place in Brussels in 2009. Belgium was a fantastic place to launch my research for the best chocolate of the world. My first major chocolate journey took me to Belgium, France, and Switzerland in October, 2009. What a journey that was! The chocolate produced in Belgium and Switzerland is similar–both very creamy in texture. But the most important thing I learned is that there is really no such thing as Swiss or Belgian chocolate. There is Swiss-made and Belgium-made (or Belgian-style) chocolate. But no cocoa is grown anywhere in Europe. French-style chocolate is very elegant, smooth and silky, but generally darker and more intense than Belgian or Swiss. Paul de Bondt of De Bondt Cioccolato Originale in Pisa, Italy, makes some of the world’s best chocolate and is an expert in exploring the flavours of chocolate. He was pivotal to my research in understanding how to taste chocolate. In 2010, I visited Spain, Italy, and Holland (the Netherlands.) Another fabulous research trip investigating the differences and nuances of chocolate from one country to another and how terroir and local preferences come into play. 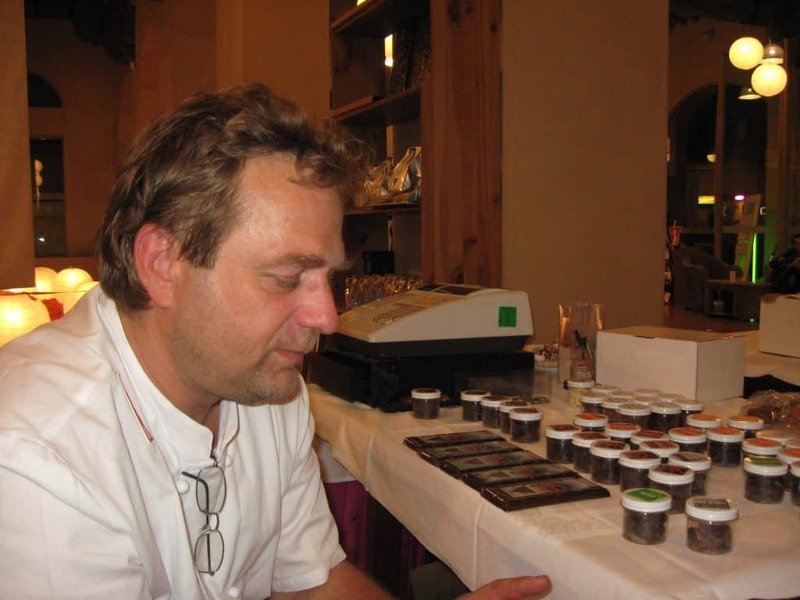 When I met Paul de Bondt in Italy, I experienced an epiphany that changed the direction of my research and made me want to dig deeper into the world of cocoa and chocolate. He taught me about the science involved in creating the great flavour profiles of chocolate. The cacao tree may produce great tasting cocoa, but it is the skill of the chocolate maker and the creativity of the best chocolatiers who take that flavour to an exalted level. In 2011, Chocolatour spent time in England, visiting as many of the UK’s top chocolatiers as time would permit. England led the Chocolate Revolution in the UK that transformed formerly sweet British-style chocolate into a whole new generation of pure, authentic, and intense chocolate that is now among the best chocolate found anywhere in the world. 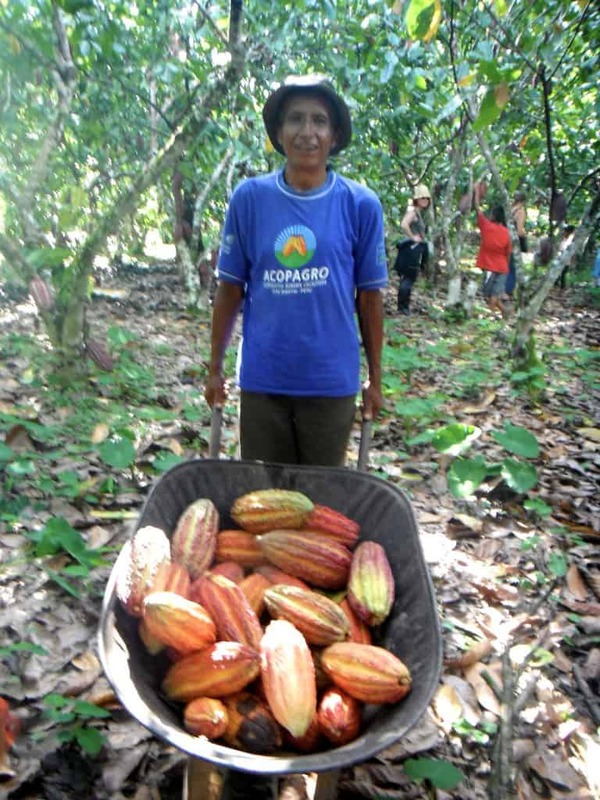 Staying with cocoa farmers in Peru and helping them with their harvest taught me a lot about the challenges of growing cacao. Attending the Chocolate Festival at Jade Mountain in St. Lucia was a terrific way to become immersed in the tree to bar experience while staying in an amazing resort. Read more about that experience here. 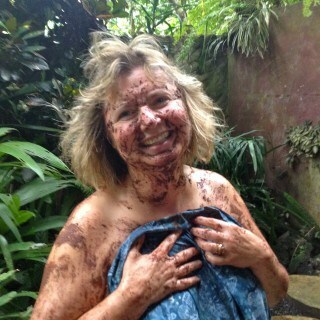 It was then time to further investigate where cacao was grown and deepen my understanding of the world of chocolate. In 2012, I visited the island of St. Lucia in the West Indies, and Peru and Ecuador in South America. The chocolate of Peru impressed me so much that I returned again in 2013. Those trips were filled with amazing experiences, from staying in the most dramatic resort I’ve ever witnessed at Jade Mountain in St. Lucia, to staying with cocoa farmers in Peru and helping them with their cocoa harvest. A cluster of cocoa pods growing in Oahu, Hawaii. In 2014, I went to Hawaii to discover the only cacao growing on American soil (at that time.) That was an amazing journey that included giving a presentation at the Hawaii Chocolate Festival, meeting many talented chocolates and chocolate makers, and visiting cocoa plantations. I also went to Costa Rica and was a judge at the Puerto Viejo Chocolate Festival–a fantastic grassroots event for chocolate lovers who really want to become immersed in the world of handcrafted artisan chocolate. 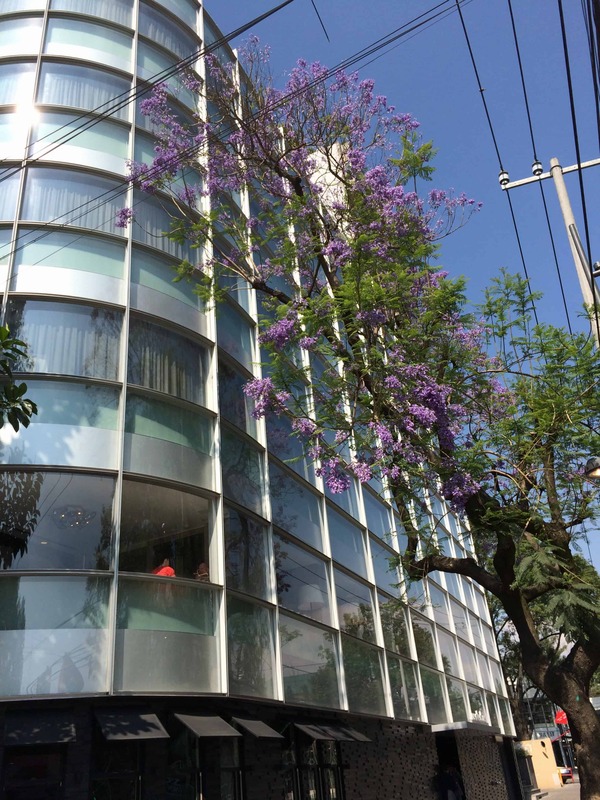 In 2015, I finally made my way back to Mexico after a very long absence, and spent a month continuing my search for the world’s best chocolate and learning about Mexican cacao. Mexican chocolate has evolved from a coarse and very sweet gritty substance to a silkier product with less sugar and a more intense flavour. I love it, and after two research trips to Mexico in 2015, I returned in early 2017 to continue the journey. The “Three Brothers” is a milk chocolate creation featuring three caramelized hazelnuts. The 70% dark chocolate “Brazil” is a masterpiece of silky truffle made from Brazilian cacao enrobed in Brazilian couverture. Two of my favourites from Laderach Chocolatier Suisse of Vevey, Switzerland. During 2016 and throughout the years prior, I made many trips to various destinations in Canada and the US to attend chocolate events and meet chocolate makers and chocolatiers. I also attended the Grenada Chocolate Festival in the Caribbean in May, 2016. Such great chocolate is coming from that island. It’s one of my favourite chocolate destinations. In celebration of World Cocoa and Chocolate Day, I tip my hat to Switzerland, a country that makes some of the finest milk chocolate on the planet and truly lives and breathes chocolate. I returned to Switzerland in September, 2016 and have a renewed respect for this wonderful country where contemporary chocolate has embraced influences from around the world, but held dear with respect, Switzerland’s rightful place as the homeland and inventor of milk chocolate. In January, 2017, I returned to the Dominican Republic to research cacao and chocolate. The journey has come full circle after eight years on the chocolate trail. But my quest for the best chocolate adventures on the planet continues. In 2018, I researched chocolate and cacao in both Cuba and Belize. I’m so glad I’ve delayed publication of volume II of Chocolatour as these trips have been pivotal to my research and my understanding of the world of chocolate and cacao. That journey continues, and no doubt will for the rest of my life. Stay tuned as my chocolate travel journeys delve further into cocoa culture around the world and continue to take me to new places in search of the ultimate experience. 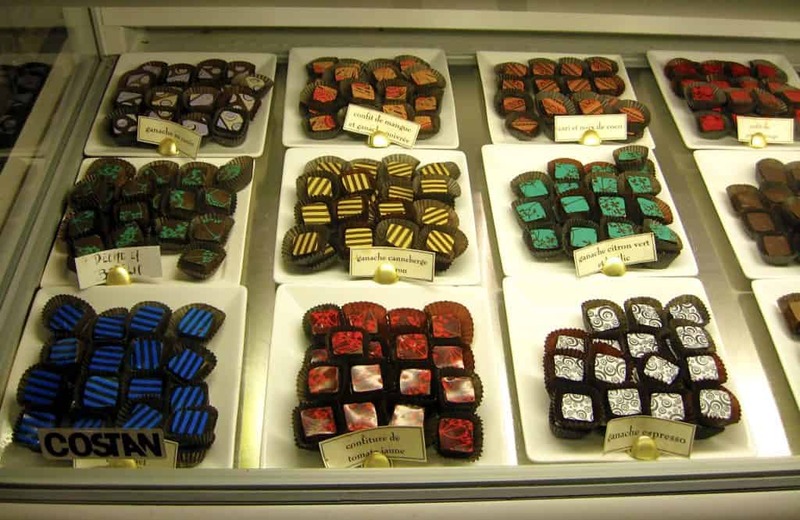 Great recap of your chocolate travels. I’ve certainly learned much about chocolate and have a greater appreciation for it and its makers as a result of following along with your travels. Wow, what an adventure! I can’t imagine how you could decide which is the best chocolate in the world. Chocolate is all so wonderful! I’ll certainly be following along to learn the answers. I had no idea such a chocolate culture existed. Thanks for all the fascinating posts that continue to educate your readers about chocolate. You’re so very welcome, Bev. I’m so glad you are enjoying learning all about the world of chocolate travel. Agree completely with what Donna writes in her comment. My knowledge of chocolate has increased enormously because of you. The world’s best chocolate? In my little experience maybe I would opt for Belgium. Godiva and other brands make absolutely delicious chocolate. Hi Catarina and thanks for your comment. Belgium does indeed have a multitude of excellent artisan chocolate makers and chocolatiers. I would suggest that Godiva is in the midrange of that collection. If you really want to taste the pure cocoa, try Pierre Marconi, Laurent Gerbaud, or Galler Chocolatier. Each is an excellent example of handcrafted chocolate in the Belgian tradition. You have such a sense of taste and adventure! I find your pursuit fascinating and valuable for my own satisfaction being a chocolate lover. I find your experiences enhance my appreciation for chocolate. Thank you for bringing us with you on your pursuit! I love the distinction you make between Belgian/Swiss Chocolate vs Belgian STYLE or Swiss STYLE chocolate. It’s an important distinction. Thx, Linda. I think most of us grew up thinking that Switzerland and Belgium is where chocolate originates, but now that we know where cocoa is grown, we understand where chocolate really comes from. and that other countries have become experts at making chocolate–the finished product. Love your recap! It brought back memories from your book and has me checking each of my travel destinations for local chocolatiers’ shops. 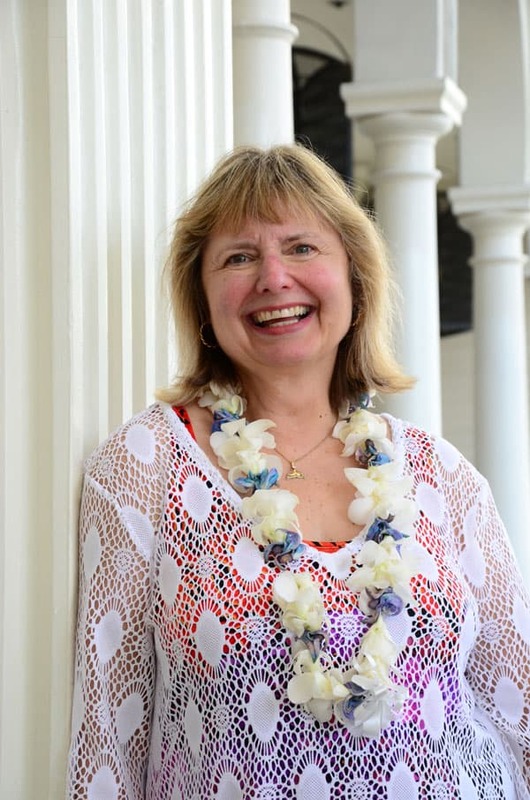 Your mission has truly enhanced mine–thank you, Doreen! Thank You, Kate, for being a supporter of Chocolatour every step of the way. Without readers and fellow chocolate lovers like you, I would have likely given up the quest long ago. I have learned a lot about chocolate making from your blog. I really had never thought of the process of making chocolate before. And I knew that cacao came from beans, but I never even imagined what they looked like. I now have a greater appreciation of chocolate. And while I don’t eat pure chocolate very often, I now have a much greater appreciation of everything that went into making a bar. Yes, I’ve tried cacao nibs and I do enjoy them. Just don’t feel the need to eat them daily as I eat a variety of power foods. But they are good. I’m a really chocolate addict! I’ve always enjoyed your chocolate travels; what a lovely way to get a ‘taste’ of the world! It is indeed, Jackie. I never knew how multi-faceted the world of chocolate and cacao was until I immersed myself in it, and it has now captivated my life! What an amazing quest! I quite often find chocolate too sweet but, as you point out, there are lots of different types and probably a variety for everyone. Thanks for sharing your journey since 2009. I visited Switzerland when I was a teenager and still remember the chocolate. It’s amazing how the taste of chocolate helps me remember different moments in my life. I don’t know if it is with all foods or just chocolate, though. That’s super cool, Sabrina! You are a woman dear to my heart. Chocolate does indeed create wonderful memories throughout our lives. I hope you get to return to Switzerland soon. It is quite the place! Doreen, I’d love to take such a journey! Combining my two favorite things: chocolate and travel! It does seem to me, though, that you’re being very diplomatic about NOT naming one chocolate as the best! I found the clarification that chocolate is made but not grown in Europe to be interesting. I guess I just never thought about it before. I’d be curious about where you think produces the best dark chocolate. Hi, Kay. Yes, I think it’s the movement that has taken over the world about knowing where our food comes from that has taken us to the source of the cocoa. We never thought about it before. We just ate and enjoyed the chocolate. You ask what country produces the best dark chocolate? I love the cocoa grown in Peru for its fruity notes. I also love the cocoa from Madagascar and from Tanzania. There are many great sources. The key is to look for chocolate makers who are producing single origin bars from cocoa beans. And then sample different ones to see which one you like the best. Have fun with it! It’s just like tasting wines from different grapes and different growing regions. Enjoy the experience and it becomes more meaningful. Cheers! Awesome, Noel! Have you tried roasting the cocoa beans in your pods, or are your trees too young to be producing? Doreen, you’ll have to come to Lisbon to try the chocolate from Corallo’s, made using cocoa beans from their family plantation in São Tomé, I think. It’s to die for! Hi, Julie. Yes, cocoa from Sao Tome is quite fine indeed. I’d love to go there sometime. And yes, I’d love to come to Portugal as well! Thx for stopping by. Yes, that trip to the Dominican Republic in 2009 changed your life AND it also brought a world of education to your readers about that wonderful thing called chocolate! Thanks, Ramona. I’m glad you’;re enjoying the journey (virtually) alongside me. Cheers! An interesting journey. It’s not a surprise to me that the Swiss make the best milk chocolate, but I was certainly surprised to hear that some of the best chocolate is made in England. Hi, Ken. Indeed, the UK has a plethora of amazing chocolate makers and uber talented chocolatiers. London is a chocolate lover’s dream come true! I love chocolate- I’ve long maintained that it should be a food group. Traveling around the world learning about chocolate is a great way to live! I’ve always got my eye out for the best chocolate- dark of course. I suggest you visit Trinidad. I was just there and a claim was made that “Trinitario cocoa is the highest quality in the world.” Personally, I liked the rum better. Hi Carole. I have indeed been to Trinidad. But before I was researching chocolate. I’ve eaten plenty of chocolate made from Trinitario beans. It is excellent, but considered to be the midgrade varietal of cacao. Criollo is considered to be the best. What a fantastic journey you have been on!! Thank you for sharing it…now I think I’ll go have some chocolate!! Thank you for sharing your “chocolate” adventures! We truly take it for granted that we can just walk into a shop and pick a bar/box of chocolate from the shelves. I had no idea just how much went into making chocolate (until I found your blog). I tend to eat dark chocolate and much prefer some brands such as Hotel Chocolat and Green & Black’s. You have visited some beautiful countries. I absolutely loved The Dominican Republic when my husband and I visited. Thad for your comment, Phoenicia. You’ve got great taste in enjoying Hotel Chocolat and Green & Black’s. They are both fine brands. What a mission! Searching for the world’s best chocolate :-). Very sweet :-). Never knew there was a “chocolate revolution” (or that England led it). So many interesting stories behind that lovely rich treat most of us can’t resist! Absolutely, Janice! There are so many great chocolate stories out there. That’s why I’ve succumbed to the gravitational pull, and let chocolate take me to wherever it wants! Thx for stopping by. Fun that you have been able to try so many chocolates around the world. What a fabulous journey (or series of) you’ve had up to this point. Have you made any plans or had any thoughts of a trip to Africa given it’s place in the world of chocolate? Hi, Chris. I absolutely have plans to visit Africa. It will be pivitol research for volume III of Chocolatour. Please stay tuned! Thanks for sharing some highlights from your chocolate travels. What a quest you are on! Fun too that there are many references where I draw on memories of posts I remember reading over the years. What a recap! Reading this post gave me the insights to what I had missed previously. Thanks for sharing! It’s exciting to each week know something about what you love. Continue your fun! Hi Sushmita. There are many new readers to the site, who like you, possibly haven’t read many of the previous posts. 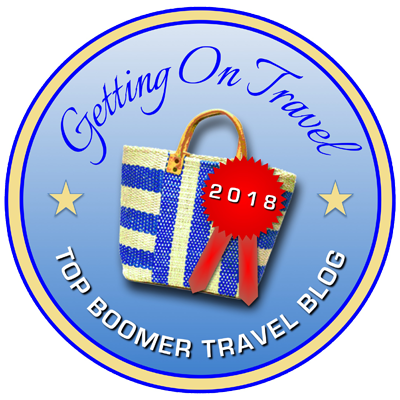 I encourage you to have a look around at some of the destinations mentioned or other destinations you may be interested by using the search tool in the right hand column of the blog. (You may have to turn your device to the horizontal mode if you are on mobile.) Thx! Thanks, Adam. My chocolate journeys truly bring me great pleasure, as each one is so different. Thx for stopping by my site. 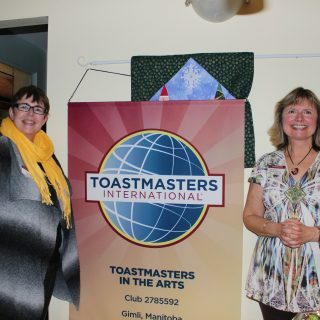 I always enjoy your tours and photographs Doreen! I learned a few things as well, like there is no chocolate grown in Europe. I can’t help but wonder about how it was introduced (through explorers?) and eventually became such an important part of the Swiss identity. Fascinating! Hi Marty. Yes, cocoa beans were first brought to Europe by Spanish explorer Cortez in the early 16th century. Europeans certainly developed what we know as modern chocolate, but that is always after the cocoa beans have been transported thousands of miles (primarily from West Africa) to the European continent. I very much enjoyed your article on the world’s best chocolate and your search for it. I have a daughter who worked for Nestle some years ago and is also an expert on chocolate. I have no doubt that she will love your posting. Thanks for a wonderful article! Thx so much for your comment, Denis. I would love if you’d pass my site or contact info on to your daughter. I just returned from a visit to the Nestle Cailler facility in Vevey, Switzerland. Thanks! Oooooh, so many great chocolate finds! Lovely blog. 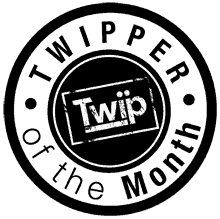 Hi, Jill, and welcome to the blog! I see you are from Calgary. Have you tried Choklat? They claim to be the only bean-to-bar chocolate maker in AB and that their chocolate is the best. I’ve not yet tasted it. Now, why didn’t I think of this kind of quest? I love chocolate! What a great adventure you had. Combine that with a topic you enjoy and that is what I call a great trip. Right on, William. It is an never-ending trip of delicious chocolate experiences. Glad to have you along (virtually) for the ride! You have been educating and entertaining us with your stories and pictures for seven years!! Glad you went to the Dominican Republic for a holiday. 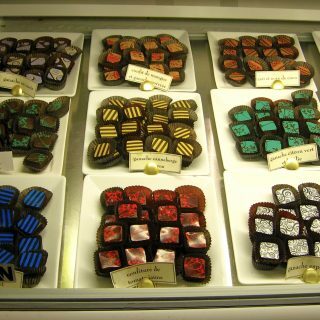 I am so thrilled that I will be able to check out Xocodiva Artisan Chocolates in Puerto Vallarta in a couple of weeks. I look forward to enjoying and bringing back some treats for the office. Right on, Pat! I hope you have a super time in PV. If you have time, do visit the Vallarta Botanical Gardens as well. It’s a really beautiful place to spend a couple of hours. And they have a few cacao trees there as well! Hi Doreen, ahhh my favorite day, Chocolate day! Great excuse for one day to indulge more than usual…but my usual days contain a lot of chocolate too. 🙂 it’s crazy how that one trip to Dominican changed your life. You just never know where the road is going to take you in life. Your journeys and experiences sound so fun. Thanks, Susan. It is indeed amazing how one small moment can or experience can be so life altering. I’m so glad you’re along on this journey of chocolate exploration with me. Cheers! You just made my mouth water by looking at the photographs of those chocolates. Belgium i think i call the home of chocolates. I have tasted chocolates from there brought home by relatives but i hope to one day actually go there and taste it. It seems and looks delicious. Oh yum, you have made me even more excited for my upcoming trip to Hawaii–I love to try new chocolate–the darker the better. It was a high point of my time to Brussels. Lucky you, Rose! Hawaii has some amazing chocolate. 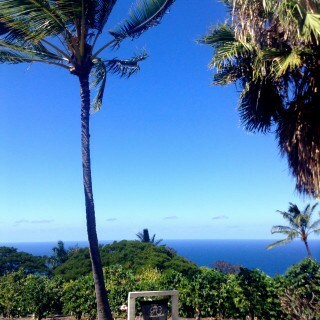 Be sure to check out the posts on this site featuring Hawaii before you go. What chocolatey adventures you’ve experienced! We had the chance to try some St. Lucia chocolate this week at an event. It was so delicious. Glad they made your list. Hi, Sue. Yes, St. Lucia does have some delicious chocolate. Thx for stopping by. Wow, so much dedication to chocolate! I did a tour of a cocoa plantation on Saint Lucia and some of your pictures remind of it. 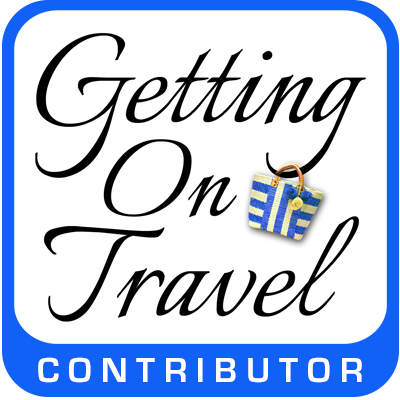 Hi Chandi: Where did you do your chocolate tour in St. Lucia? I have done the tree to bar chocolate tour at both Hotel Chocolat and at Jade Mountain. Both were excellent. 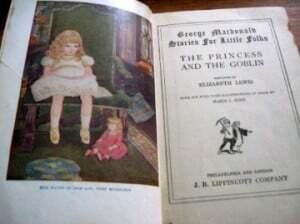 What a wonderful experience, not to mention very well documented. Very informative piece, I will be doing a chocolate tour in South East Asia next week such a coincidence to be seeing this! Interesting, Mar! I can’t wait to read your post. I’ve not yet been to South East Asia, so I will really look forward to hearing about your chocolate experience! I wouldn’t mind to work as chocolate taster(if that’s even a job title)! This post making me sooo hungry! Right on, Mary! Tasting great chocolate is a big part of my job. But fortunately not the main focus of it. My focus is to try and educate people about the world;d of chocolate and cacao so that they really can understand all the work and labour that went into creating their favourite chocolate creation. Thx for sharing your thoughts. It is a really sweet journey of discovery in search of the World’s best chocolate. It is really amazing to see your passion for chocolate and it really inspires me. A woman after my own heart…..scouring the world for chocolate. We try chocolate everywhere too not quite as in depth as you though. My favourite so far was a Fig chocolate in Russia however Switzerland had the most expensive i have ever seen, sadly we could not afford to try is 10 euros for 100g was a bit much..we did however enjoy the supermarket brand recommended by our Swiss friends. Keep up your search. Hi Michele and thanks for your comment. 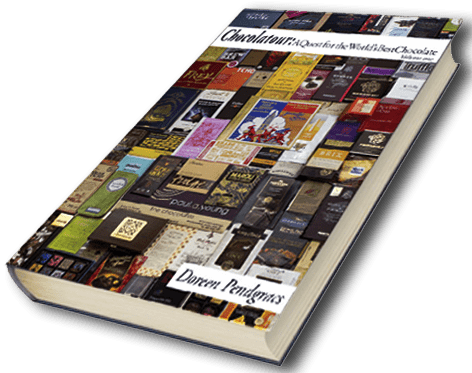 I hope that as a fellow chocolate lover, you will subscribe to my site, as you will find lots of great info about chocolate around the world here. Yes, black figs and chocolate go extremely well together. I have had incredible dark chocolate and black fig creations from Mexico, Japan, and the US. But not Russia! Do you happen to recall the name of the brand of that one you mentioned in your comment? Some Swiss chocolate is indeed expensive, but there is also plenty of mid-priced brands that make excellent chocolate. The great thing about Switzerland is that ALL of the chocolate is good! What a tough search! So many possibilities and tastes! I applaud your dedication! Keep on tasting! I am happily at the service of chocolate lovers around the world. I did a very similar chocolate tour through Brussels! I never imagined how much different fine chocolate tasted over lower quality/common brands. Thx for your comment, Kristina. Yes, artisan handcrafted chocolate does indeed taste extremely different than the store-bought chocolate candy that is filled with all sorts of additives — including wax! That’s why it doesn’t taste like “real” chocolate. Because it’s not! Chocolate in Brussels is indeed delightful. These chocolates look so delicious. Your photo in Brussels reminded me of the times I spent there on the grounds of the Grand Place with chocolate in abundance. Hi Bola. Yes, Brussels is really a fabulous place to experience and enjoy fabulous chocolate. And gratefully, the Belgians are now making much more dark chocolate, so there is indeed something to please everyone. You’re welcome! It’s certainly been quite the journey, and I have no plans to quit the quest anytime soon! Thank you for the lovely invitation, Geert. I would love to visit you the next time I ask in Belgium. You’ve got nice experience man! The best part is that you work with chocolate makers and share info about chocolate and the taste of real chocolate. It’s interesting to learn the process from raw material to ready product. I didn’t before know how the cocoa tree actually looks like. I thought maybe cocoa grows under the soil, so I must say i enjoyed this nice experience to see how it really looks.